All aspects of wellness including fitness are part of life. A stumbling block to reaching wellness goals is looking at one aspect of it in isolation. To get results with least amount of effort possible, we need to be in tune with the laws of life. The flow of life moves us towards self-awareness and self-reliance. Within the natural movement of life, there is a dynamic balance. 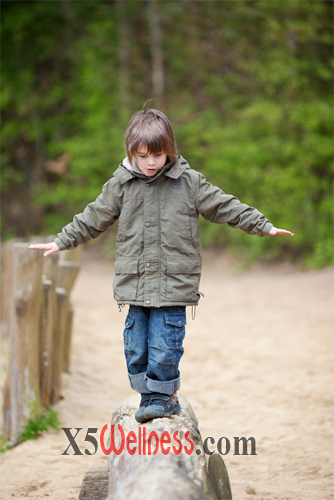 Balance training is built-in within the steps necessary to survive and the steps necessary to thrive. Only a limited version of balance training is part fundamental components of physical fitness. When we focus on a limited version of anything, we gain limited benefits. Planning steps that begin with larger pictures and broader strokes help gain more benefits from our efforts. Even in the limited version of balance training for physical fitness and sports performance, a holistic approach is more effective. When you consider corrective exercises for functional training balance training needs to include an expanded definition beyond physical fitness.